Seating up to 20 by table or 25 by lecture seating arrangement with plenty of free parking. 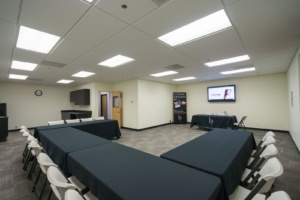 Our new conference center is ideally located adjacent to our dental lab in Petaluma near highway 101. Facilities include: audio visual options, catering and presentation equipment as requested. 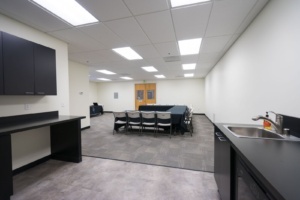 Perfect for study groups, dental conferences and any private business gathering for meetings, training events, business equipment demonstrations, video conferencing, record and film sessions and more. For more information contact BCI here.